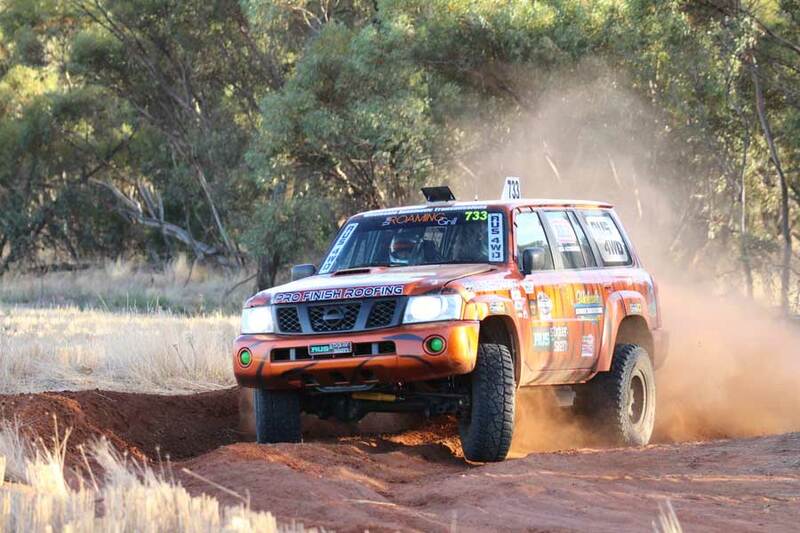 After many seasons competing at their favourite events, trialling numerous 4WDs, without campaigning a full ARB Series, Sandy Bowman and navigator Daniel Hardman #733 have piloted their newly built Nissan GU Patrol to a maiden ARB Australian Off Road Racing Series Class 7 title. The popular Melbourne based team have become fan favourites across the country with their distinctive orange and black striped race cars which are part and parcel with an unforgiving, aggressive driving style. Having previously run Class 8’s, there was a special feeling heading into 2017 for Bowman and Hardman who inherited a Patrol from a good friend and fabricator Michael Berwick, better known as Grasshopper after he tragically lost his life in a car accident. Ideas were being thrown around thick and fast as to what class they would run; it wasn’t long and a decision was made. The Patrol was to be the fastest Class 7 Production 4WD yet, and they were set to chase a dream; to bring home a title that Grasshopper always wanted, which to date had deserted Bowman and his crew. Motivated from a frantic off season preparing the Patrol to be race ready, a fresh paint job and a quick dyno – the trailer was packed, emotions were high and sights were set for the ARB Town and Country Tyres Stackpoole 400, ARB Round 1. A clean prologue run settled the nerves early on race day, a Class 7 win setting Bowman and Hardman up for the afternoon’s seven laps of a brutal, dusty, rocky Stackpoole circuit. With the event broken into two races, Bowman lined up with a fresh car, well tuned team and a clear mindset. It didn’t take long before #733 was settled in the top five on track with a substantial class lead. Powering through the dust, Bowman caught up to close competitor Vandy on the first lap, however dust minimised any opportunity to pass. The time to make a move arose, flying through a switchback with trees, gate posts and cars, including team mechanic and fellow Class 7 competitor Brett somewhere in the dust – the challenge was real. Unfortunately for Bowman, who by taking the outside line aiming to come out in front collided with Brett and, just like that, both their days were done. A tough result first up, a new full front, chassis straighten, radiator and trailing arm to be restored before round two at Mildura. 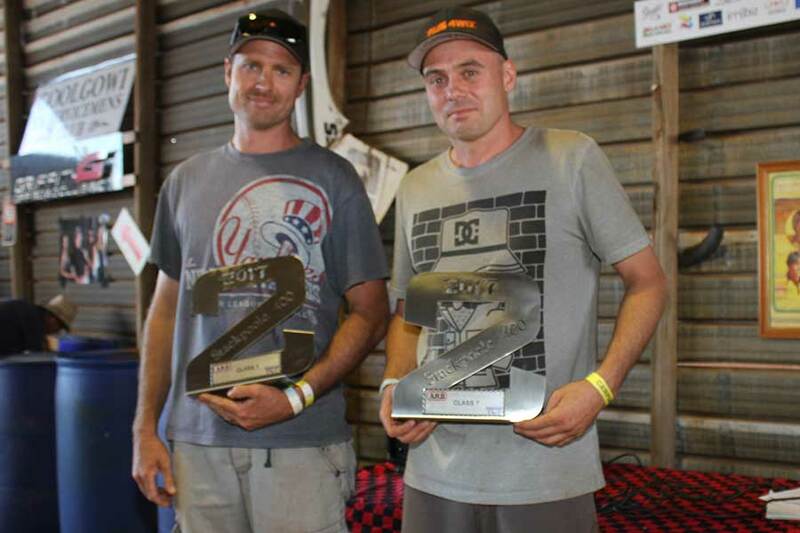 Bowman and Hardman cruised home in 22nd outright and first in class at Sunraysia; a loss of brakes and broken CV their only setback. 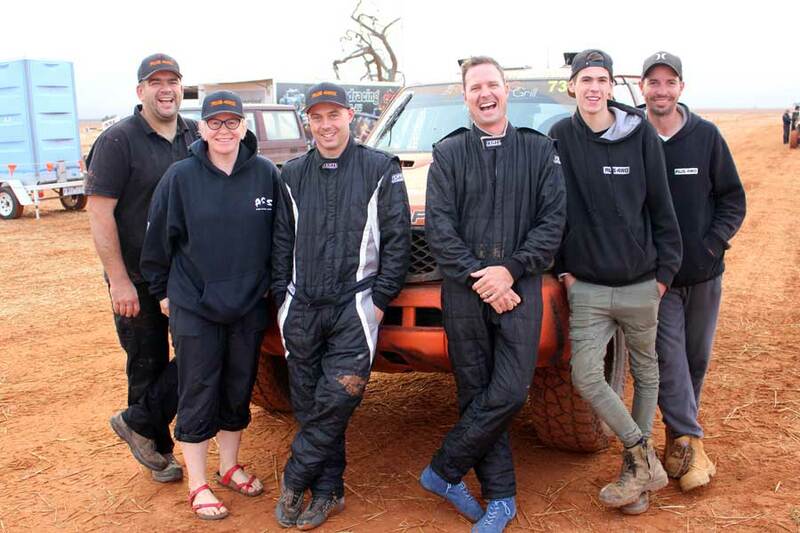 As the weekend come to a close, it was one happy race team at Aus4WD headquarters – those smiles soon diminished as Bowman noticed a noisy rattle as the car dropped off the trailer. 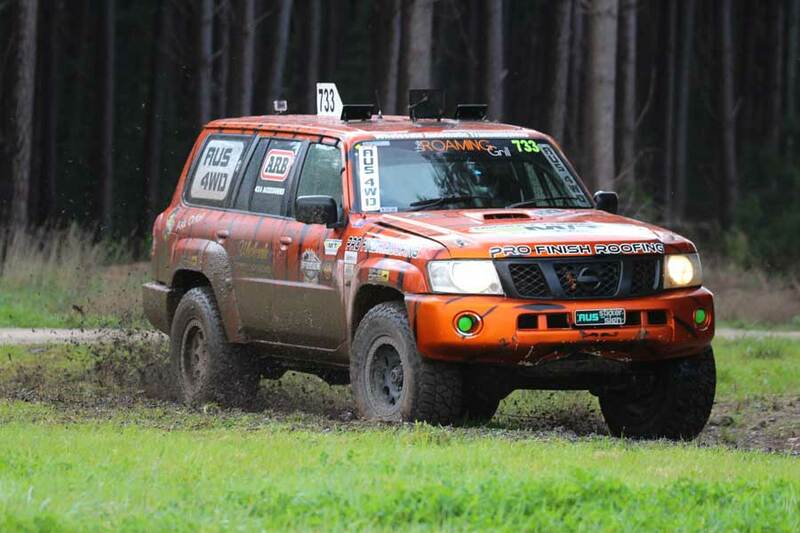 The ARB Australian Off Road Racing Series chase was well underway, so to the engine rebuild and dyno, with all eyes on Sea Lake for Round 3. Once again Bowman and Hardman lead from start to finish in Class 7 – 24th outright a great result for the team. Everything was in top shape heading into Waikerie. A mid season diff rebuild, auto service, and a new radiator after cracking one in the final moments of Sea Lake. 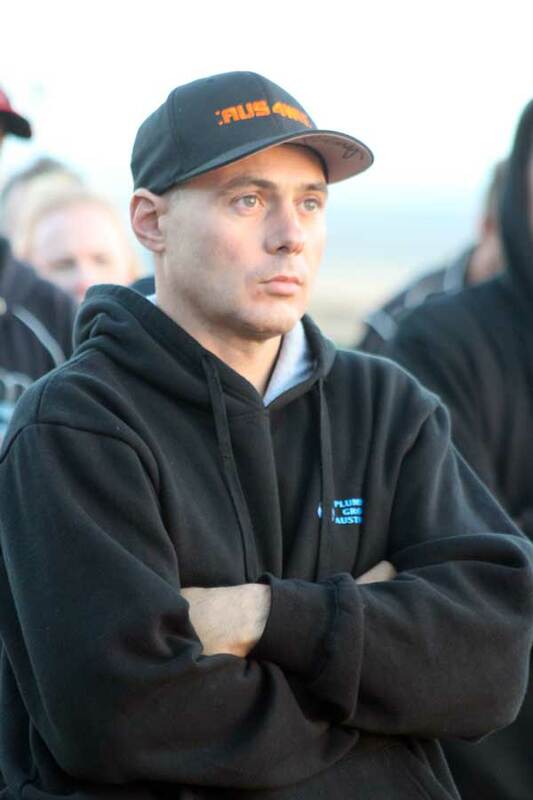 Flying into Waikerie with a nice class lead, Bowman knew a finish would place him one step closer to achieving his goal off securing a maiden class title. After storming to a 4th prologue victory, Sunday mornings first lap was impressively quick – the joys of a no dust track allowing for a more committed run. On lap two disaster struck as the engine decided that was enough. On route back to Aus4WD headquarters with their tail between their legs Bowman summed up their weekend efficiently, “we cremated it, like me in the kitchen”. Bowman also explained where he sat in the title chase with the long haul to Round 5 of the Championship, the Albins ARB Goondiwindi 400 fast approaching “we are way over budget – which is no surprise, however the title battle is still on the line so we will crank one of our spare engines in and send the shocks for a check over before there punishment at Gundy – bring it on!”. 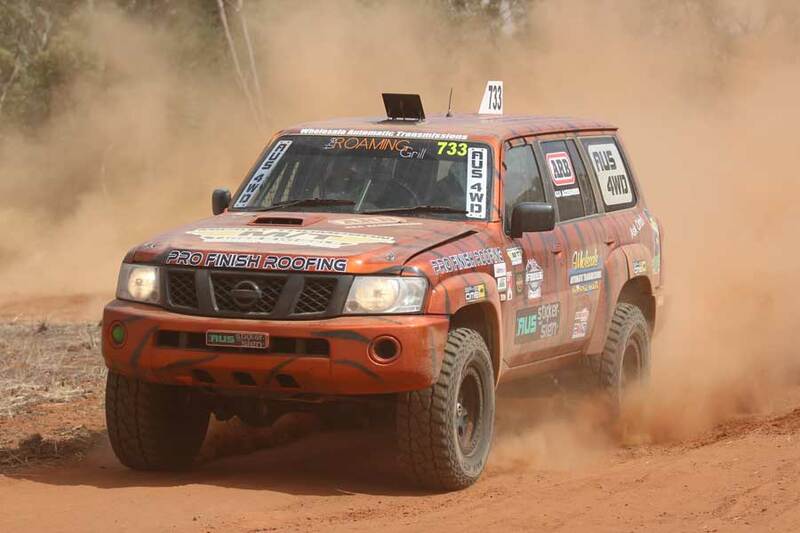 Goondiwindi based on previous experience a brutal force, Bowman and Hardman drove right through to the Queensland border town without crew – with a distinct plan to make it to the checkered flag Sunday afternoon. After prologuing on top in a large field of Class 7 competitors, the weekend was underway. Come Saturday’s end Bowman sat in 49th outright after one 80km lap. As taxing as Sunday was, the team completed all four laps to cap off a perfect weekend, first in class and 28th outright their reward, straight onto the trailer, and the trip back to Melbourne had begun. After a stress free run at Gundy, Bowman had all but sewed up the Class 7 ARB Series title - a run of consistent results to date set the team up nicely for their favourite event, the Teagle Excavations ARB Pines Enduro at Millicent. With Bowman’s mum sitting trackside for the first time in his 25 years of racing, he was eager to finish the season on a high and put the icing on a comprehensive campaign. Saturday got underway with their sixth class prologue win of the season, whilst a quick short course heat laid the platform for an all out attack on Sunday. With the reverse grid format, Bowman had worked his way into the race lead mid way through lap one and all was working well until a broken shock mount cut a brake line which gave them no choice but to enter the pits for a lengthy repair. Due to a brutal, unforgiving driving style, the remainder of lap one was not so kind to the transmission. The last four four laps ticked off by Bowman at a cold and wet Millicent were done at a far slower speed with only two gears available; not the easiest location for a Sunday drive. Emotions were high as they crossed for a final time in 2017, third in class their weekend’s result – though the satisfaction of claiming class silverware in a national series was clear for all to see. 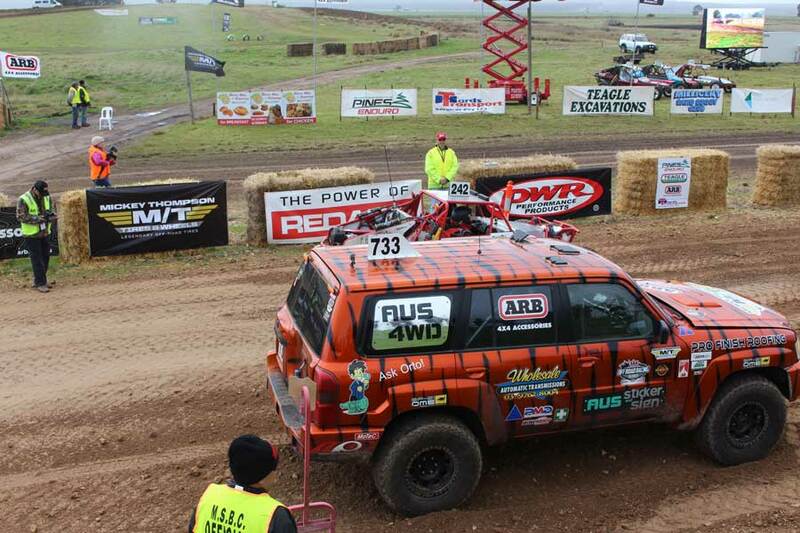 After the heartbreak of missing out on their maiden class title in the 2012 Australian Off Road Championship due to an issue out of their control, Bowman alongside Hardman and crew worked tirelessly for the ultimate award. 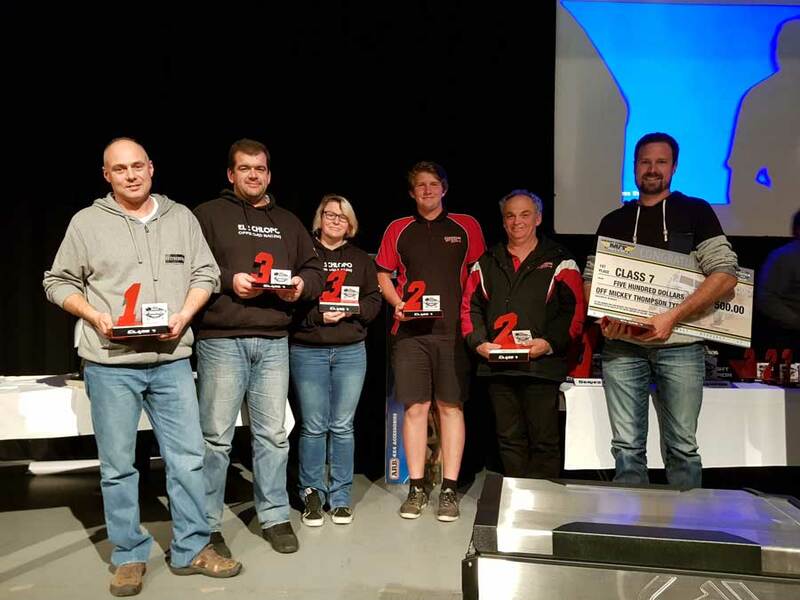 Securing the 2017 ARB Off Road Racing Series Class 7 title for all involved, including the crew, girls, family, friends and sponsors was a dream come true. A contributing factor towards their raging success was their commitment to rebuilding a majority of the car in between races; a practice not accustomed to Bowman in years gone by. Straight out of the shop the Patrol performed remarkably as the team begun turning ambitions into reality, recording a clean sweep of class 7 prologue victories whilst averaging around a minute faster than their class 7 competitors every 10kms with their modified engine. An emotional, enjoyable and successful season came to a close at the series presentation night in Millicent where Bowman and Hardman carried the trophy in honour; it was clear how much it meant to them both. Of course there is always more than the two in the cab for a race team to thrive, to the sponsors – Wholesale Automatics, ARB, Mickey Thompson Tyres, Aus4wd, Pro Finish Roofing, The Roaming Grill and Aus Sticker who’s continued support fostered a dream, and to Gaz, Benno, Peterbuilt, Caro, Bretty, the extended racing family and of course Grasshopper who all stuck firm, when it could have been easy to throw in the towel. Bowman and Hardman will be back in 2018, though only at a select few races as there are plans in motion for a sneaky appearance in a Class 11 Beetle at the 2019 Baja 1000. What a season, stay tuned for more updates throughout 2018 as Bowman and Hardman continue to chase their dreams!